After many prayers to the Marketing Gods, ACA finally found solace in the form of Content Marketing. Delivering the sermons was none other than the UK’s Content Marketing Messiah, Chris Marr. Chris showed us the light: what we wanted to achieve could be achieved, as long as we committed ourselves to the task at hand. In order to tell people our story, and nurture trust between us and our potential clients, Chris taught us that we had to create useful and engaging content, develop a blogging platform to educate our audience, and to distribute our new content across social media. The steps which followed saw ACA’s director, Allan Corfield, redevelop the company’s website. With the huge help of Dunfermline-based Internet Creation – ACA launched a brand new WordPress site which contained an integrated blog thread. As well as this, intern Nathan McConway was brought in to help write regular blogs and articles for this new hub of Self Build information. 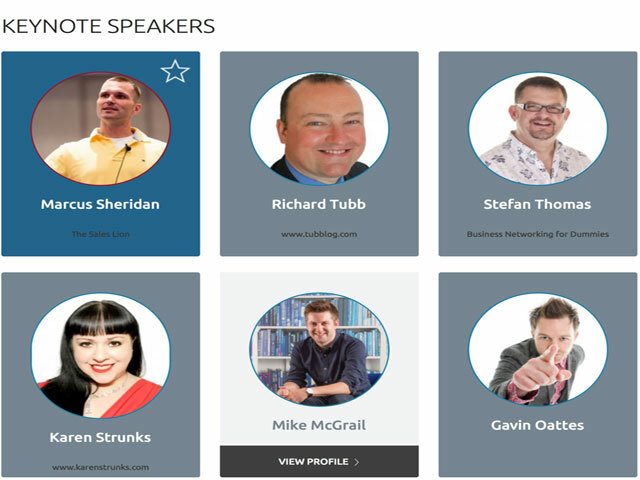 This new site was finally launched in August 2015, just in time for us to attend Chris’ conference in September – The Content Marketing Academy 2015, at Edinburgh’s COSLA Conference Centre. We were extremely excited to hear from leading experts in the world of Content Marketing, as well as discover what our next steps should be now that our content platform and strategies were finally ready. There was the option to go to TCMA’s Thursday masterclass session with one of the leaders in content marketing, Marcus Sheridan. Hindsight certainly is a wonderful thing, as what was to follow on the Friday made it blatantly obvious ACA had missed out on a valuable, and extremely memorable, experience in deciding to attend the second day of TCMA only. The reviews of Marcus Sheridan’s Thursday performance were unanimous – the lessons in content marketing from this inspirational speaker could change businesses – and lives. As has been widely documented already, TCMA 2015 was a resounding success. The day started with networking opportunities over breakfast and coffee, before the keynote speakers began just after 9am. Much of content marketing begins with Why? (Why are we creating the content we’re creating?) – so it was fitting that the day started in similar fashion. Gavin Oattes, from Tree of Knowledge, encouraged delegates to think carefully about why they do what they do. Whatever the answers might have been, Gavin inspired the audience to re-engage with “that wee bit of magic” our minds use to solve problems as a child. Bringing creative and amusing thought-processes to the workplace can make work much more enjoyable – and approaching content production with youthful passion and heart can help to instil a trustworthy element into your relationship with your audience. Karen Strunks gave an impassioned speech which built on this importance of adding your own personality to your content. Karen’s emphasis was on promoting the ‘real you’ to your audience, and to have fun when getting your message across. She advised all budding content marketers to get their message out there everyday, and not to think too much about what you produce. Find the type of content you are most comfortable with – whether it is blogging, podcasting, or video – and just get your message across. Karen’s personal approach was infectious, and many of those in attendance responded well to what she was suggesting. Networking guru Stefan Thomas, author of Networking for Dummies, delivered an equally excellent talk on how to get over the stress or nerves that can stifle confidence at networking events. Building an audience to share your content and expertise with can be difficult at first, so getting the right balance between online and in-the-flesh networking is really crucial to the success of your content marketing. Stefan’s advice was to make sure you follow-up a personal meeting with a thorough online connection across LinkedIn or Facebook. As well as this, Stefan made it clear that showing a genuine interest in those you connect with is vital to enticing a reciprocal interest in your business. 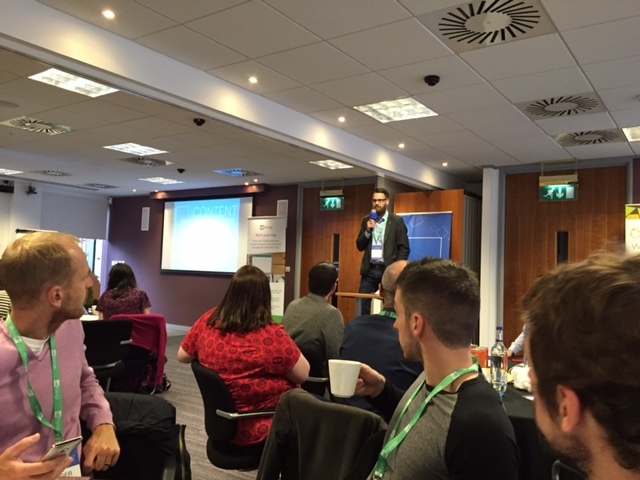 Chris, Gavin, Karen and Stefan all got TCMA 2015 off to a flyer – in the second part of this review we’ll show off what we learned from Social Media expert Mike McGrail, as well as covering the wonderful speeches Richard Tubb and Marcus Sheridan contributed to this fantastic event.